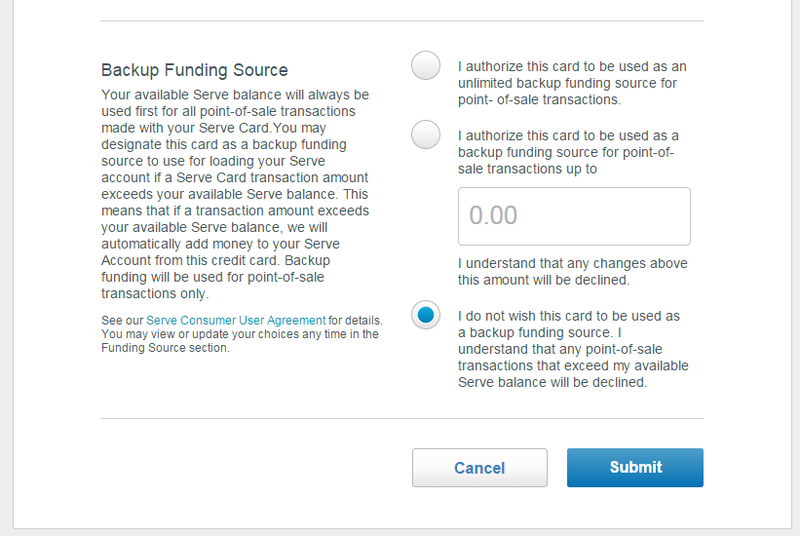 We are writing to let you know that we are making some changes to our credit card loading options. 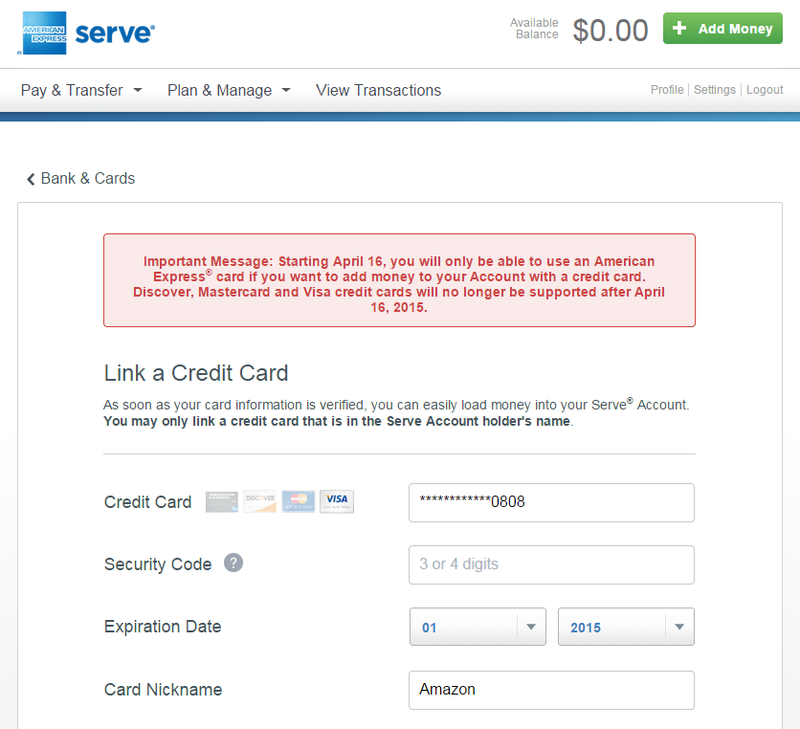 Beginning April 16, 2015, if you want to use a credit card to fund your American Express Serve® Account, you will only be able to use an American Express®Card. Direct Deposit, debit, and all other funding options will remain unchanged. You can still add money to your account in many other convenient ways, including Direct Deposit, debit, and free cash reloads at the register at 27,000 CVS/pharmacy®, Family Dollar®, Walmart® and participating 7-ELEVEN® locations.